I have been a fan and customer of Sliders Seafood Grille for many years, locally owned, supported by the beach community and us townies as well, the journey is a true success story. 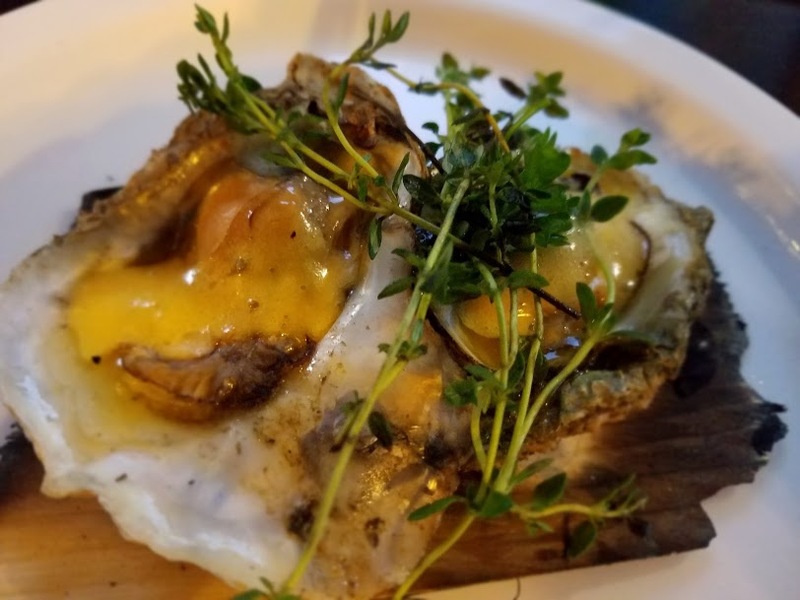 So when my friend and owner of Jacksonville Restaurant Reviews posted a pop up dinner adventure, I was all in. The theme being a six course tasting event with the oyster as the star player. Being an oyster lover, this was my opportunity to go out and mingle and eat some great dishes. Lets talk food. 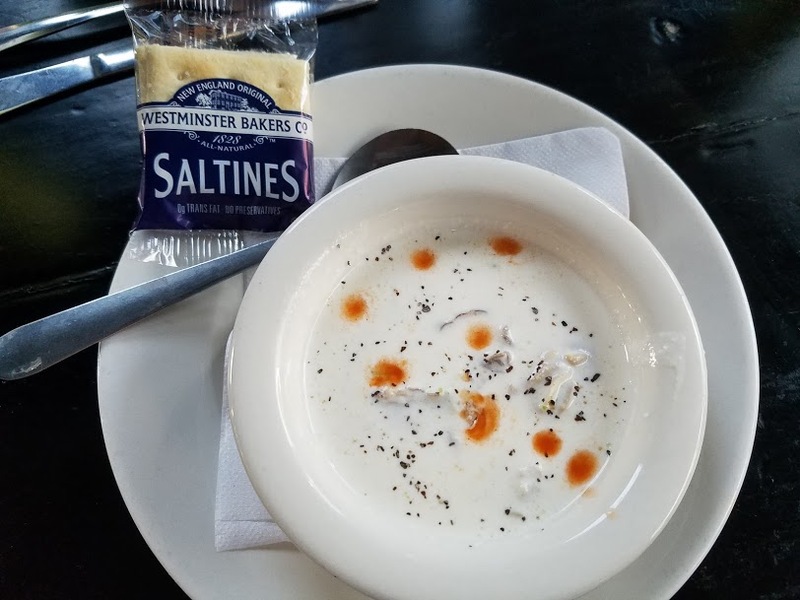 First course, Oyster Stew, creamy base, 4 plump sweet oysters, a nice start. I did add some Tabasco because I like the kick. Our next dish, Half Shell Oyster Shooter, this may have presented a challenge to some but the six people at my table, handled this dish like old pros, and asked could there be more? 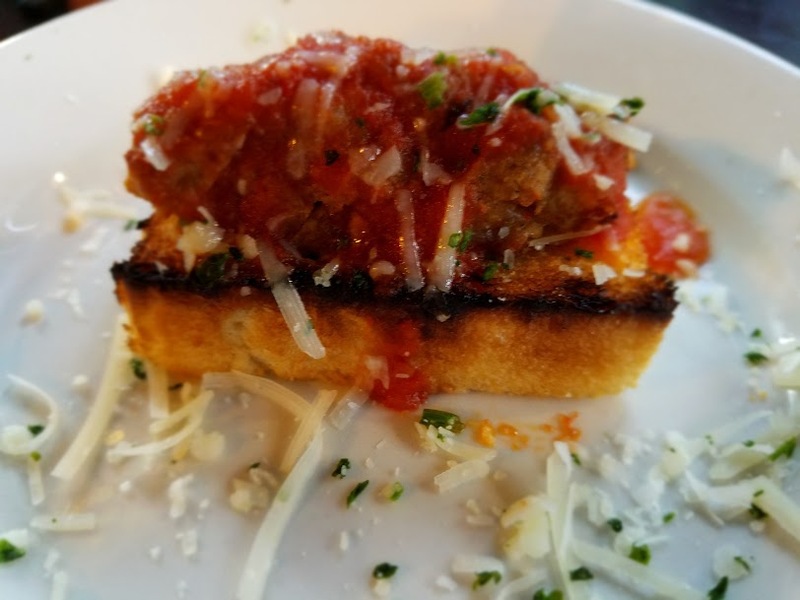 Third course, an interesting play on meat, Oyster Sausage, texture and taste perfect, firm, a hint of fennel the oyster atop a well toasted bread with a spicy tomato sauce a 2 bite wonder. Number four Hand Smoked Oyster Trio. Not a fan of anything smoked I almost passed mine off to my neighbor but wisely decided to give it a try. Good for me, just lightly smoked the real flavor of the oyster shone through with only a slight hint of smoke. Nice. 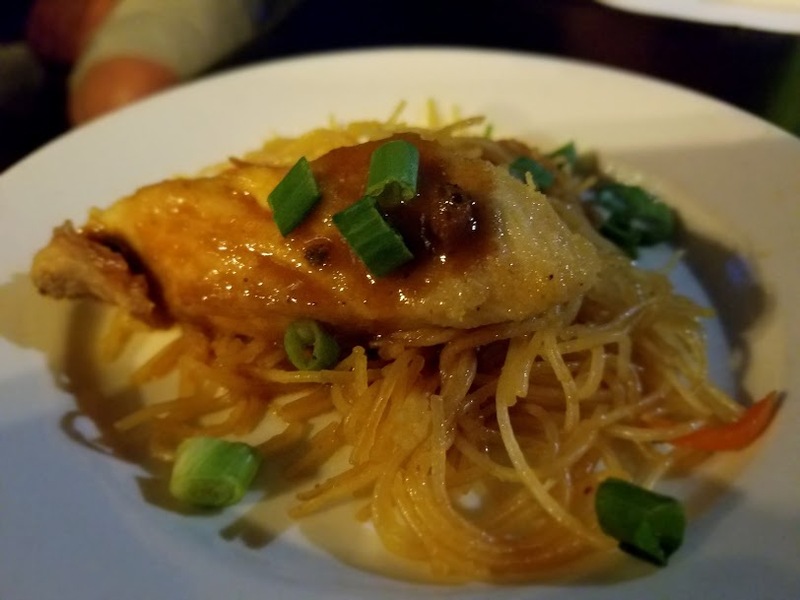 Fifth course, Grilled Fish with house-made oyster Sauce over Pancit. Another win, this dish was well rounded with complex flavors, fish flakey, Pancit savory. Everyone gave this dish thumbs up. Our sixth course, the dessert course, Smoked Oyster Strudel, with Guava and Manchego. Not my favorite dish, texture was wrong for me, strudel was appropriately flakey, that’s the best thing I can say. As the optional seventh course Bold City Pops was on hand with a most unusual offering Dark Chocolate Oyster Pop. Do not let the name fool you. 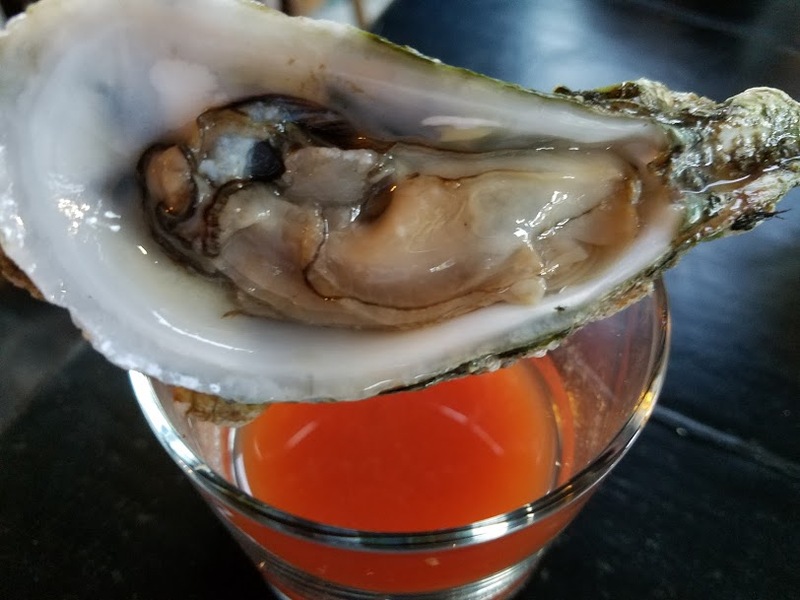 one of the owners of BCP was at my table, and shared with us, that all the oysters come from Apalachicola, are hand shucked by her staff, plus only the finest dark chocolate is used. It brought a flavor to my mouth, I can’t describe but I knew that somewhere hidden in my childhood I had tasted it before and was happy to be tasting it again. So although this was a special menu, what I hope your take away is the chef at Sliders, is a talented, versatile master of his trade, that can create dishes off the menu that please and excite the diners. 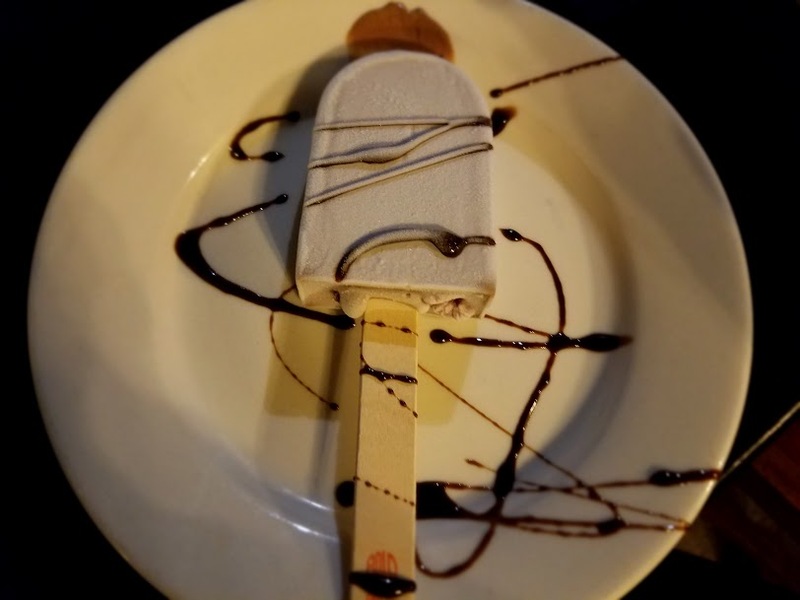 I must also encourage you my reader to check out the Jacksonville Restaurant Review web site and see what wonderful foodie adventures are posted. Myself, if I am in town I never miss the opportunity, and if you do go bring the crew, they will thank you, it will be a fun evening if you see me there please come say hell-o.